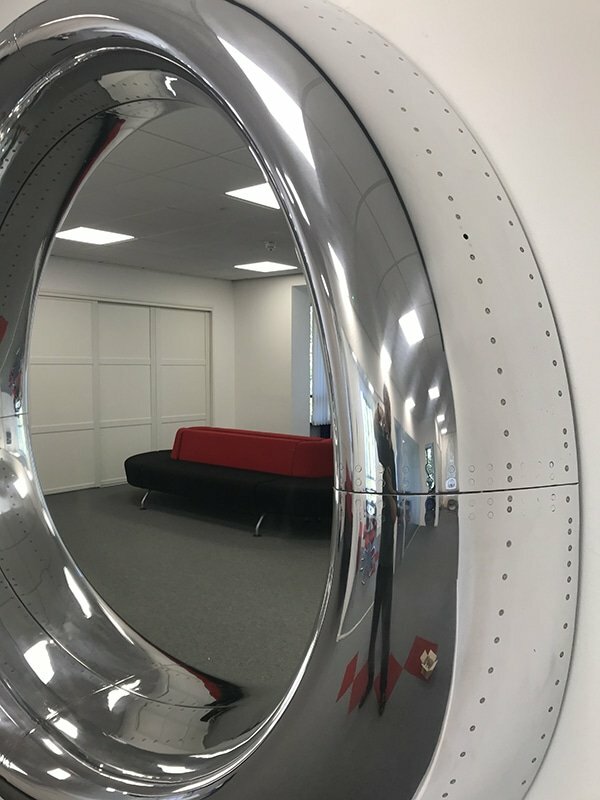 Intrepid Design are proud to announce our partnership with Private Fly, leading global booking service for private charter flights and part of Directional Aviation’s OneSky group of companies. .
It’s the perfect setting for our unique furniture, offering clients an opportunity to enjoy each piece in a stunning environment. 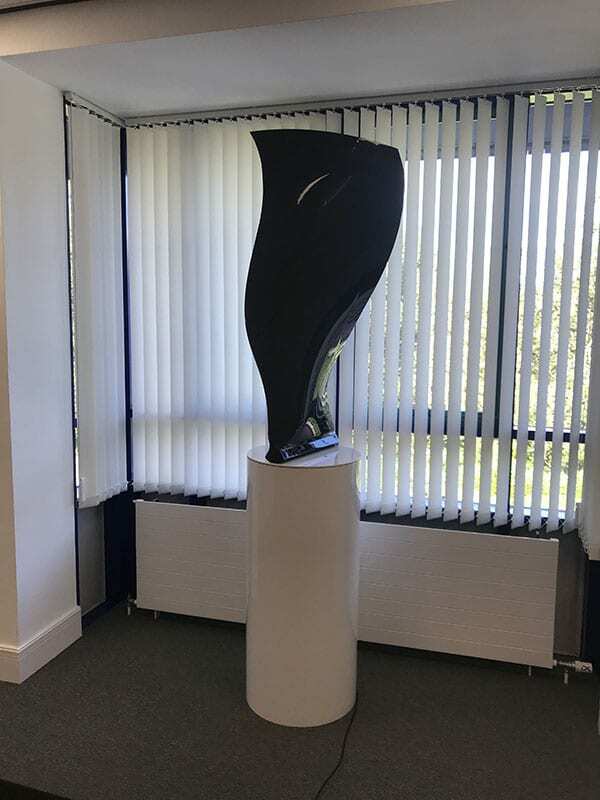 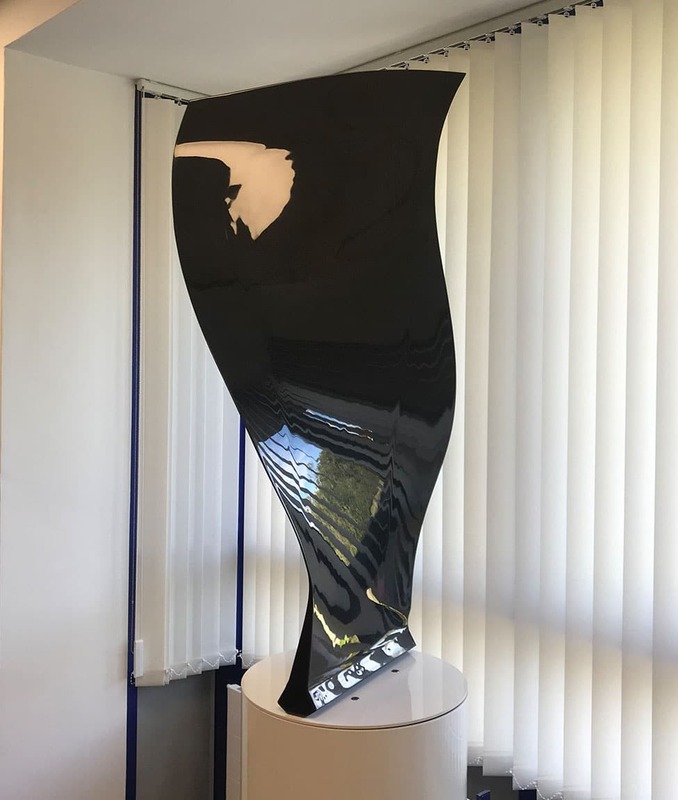 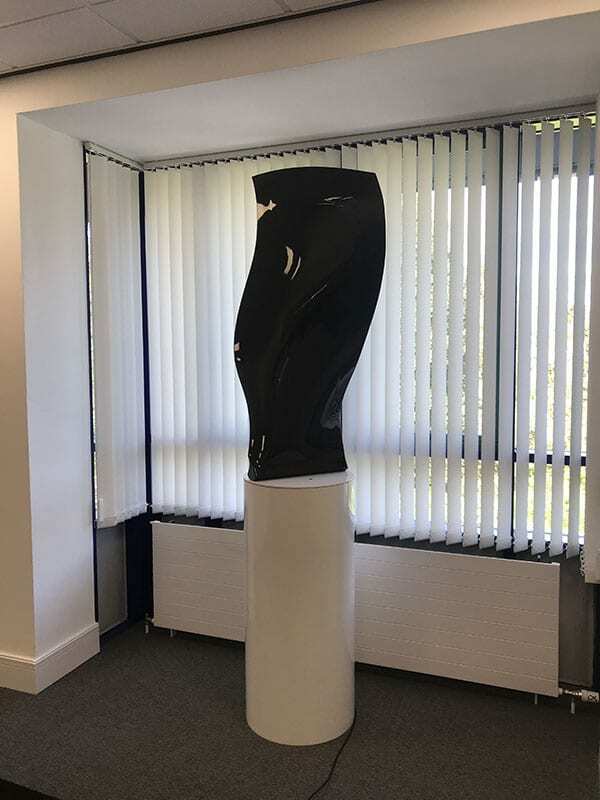 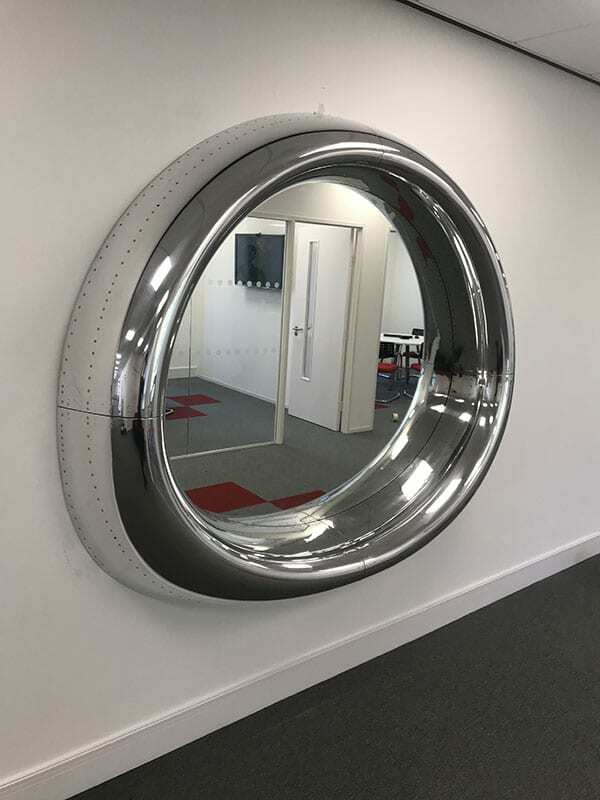 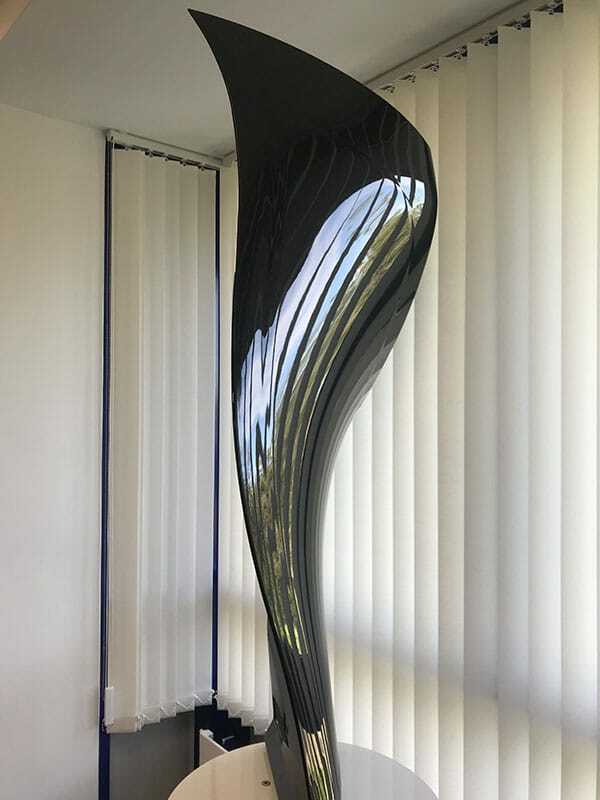 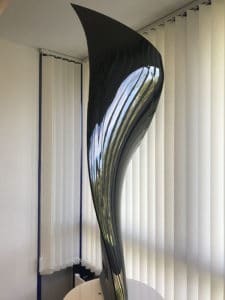 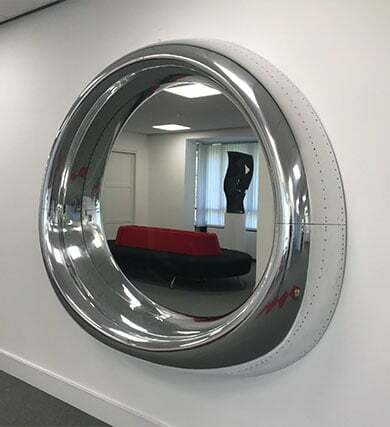 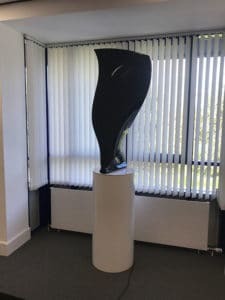 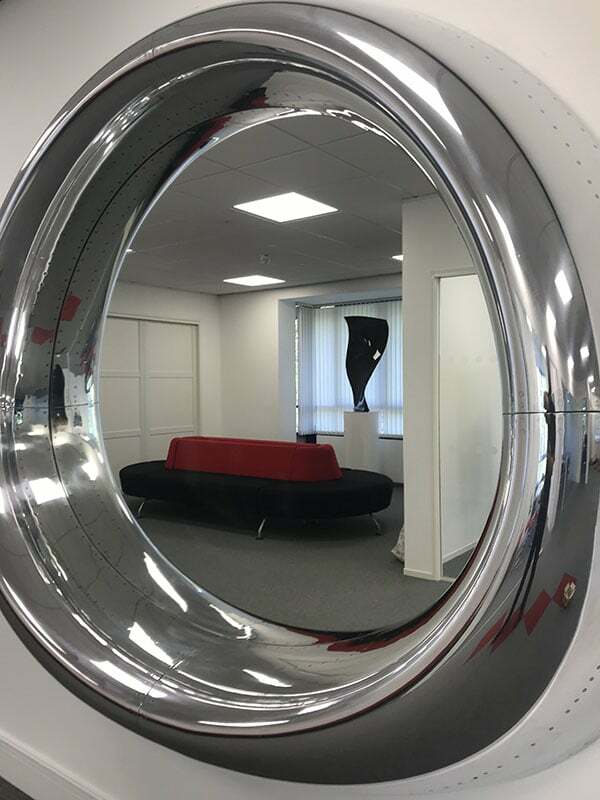 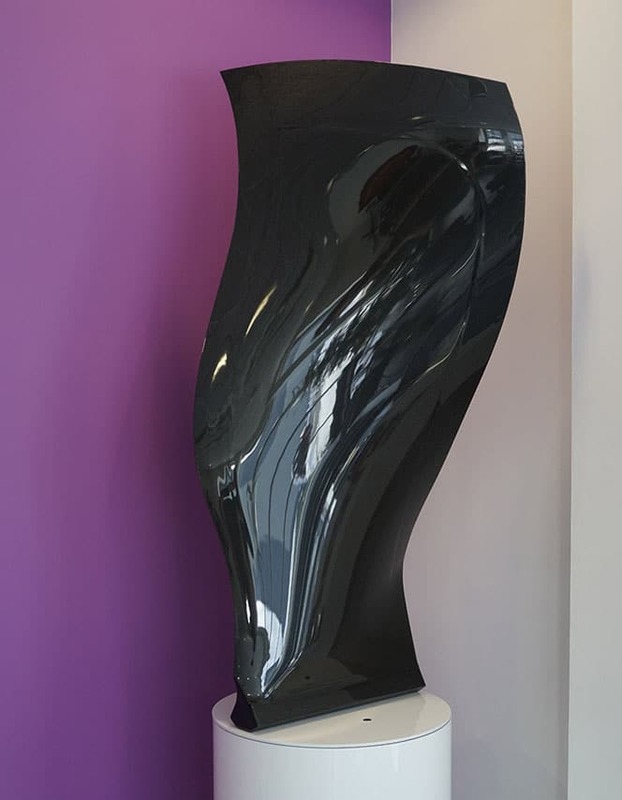 Rarely available, a highly polished aircraft fan blade Boeing 777-300 mounted to a custom made pedestal with slow rotation. 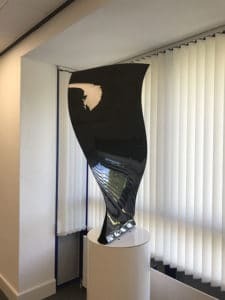 The blades geometry offers a wonderful sculptural work of art. A superb highly polished engine cowling’s leading edge, from a 737 Jet Fitted within the centre of the cowling a mirror.